While editors, stylists and makeup artists often look to the runways to inform the next biggest trends in beauty (think bold hair colour and fluffy, crimped hair this year! 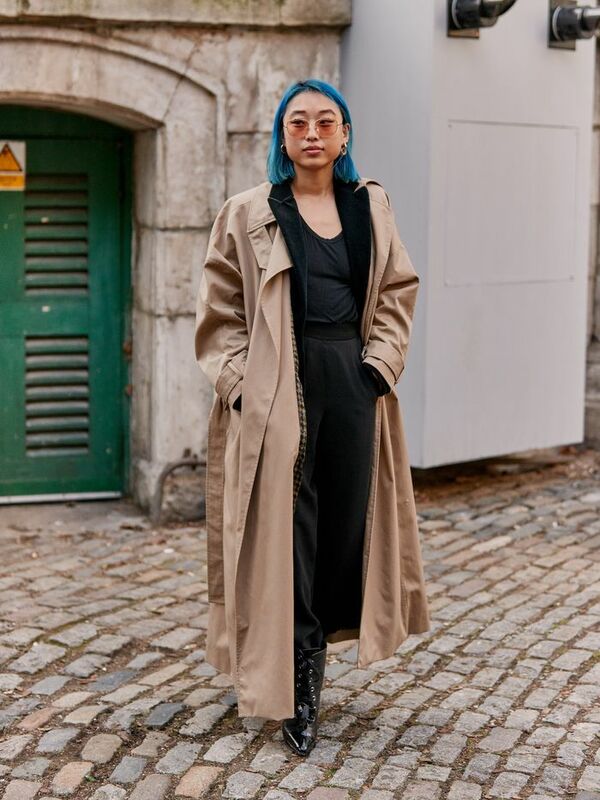 ), today we’re honing in on the inspiring hair trends we saw off the runways—the ones we saw spotted on the streets during autumn/winter 2019 fashion month. From trendy low ponytails to wavy Carrie Bradshaw curls and sharp centre partings, there was a little something for every locks lover in New York to Paris. 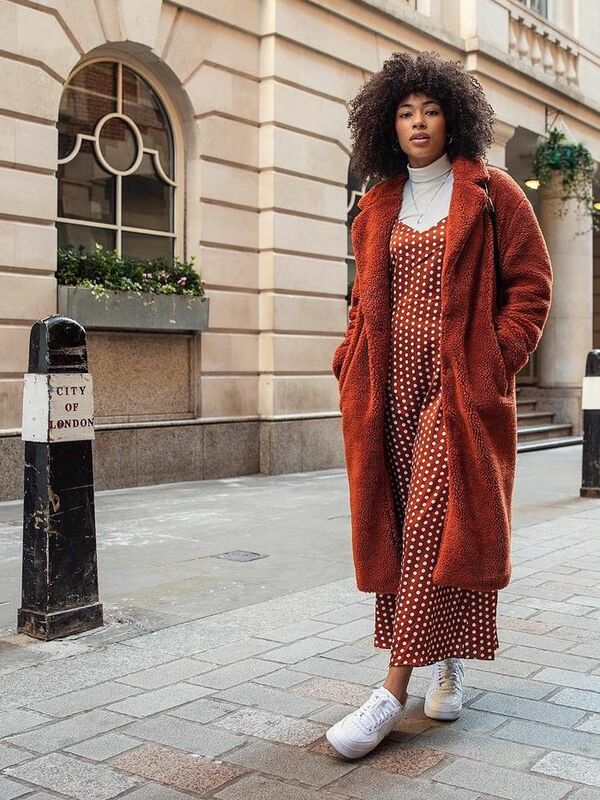 If you’re looking for a little inspiration on how to style your hair this season, scroll below for the 6 hair trends dominating the streets in 2019 and shop the must-have products to achieve the look. 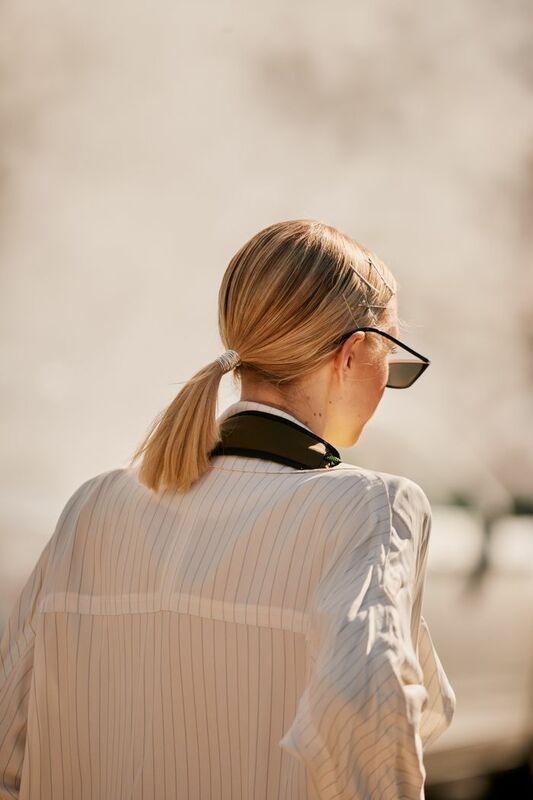 Forget pulling your hair up high, sleek low ponytails were seen all over the streets during fashion month. Most were pulled tight and tied with minimalist hair ties while others had a more relaxed undone aesthetic. Keep your pony silky and sleek with a heat-styling lotion that reduces friction and breakage. Glide the hot brush onto dry hair to tame frizz and achieve a smooth overall finish. Secure your pony with these comfortable and cool hair ties. If there's one thing that was definitively clear on the streets it's that centre parts are reigning supreme. Get inspired and wear your hair straight down the middle, simply styled with some healthy shine. Keep your centre part smooth and frizz-free. Create the perfect straight line. Finish your look with a lightweight shine mist. Carrie Bradshaw's hair (circa season two for true SATC fans) has been making a comeback—with the fashion crowd stepping out in her iconic loose waves. The effortless style exudes as a carefree aesthetic but doesn't look overly messy or disheveled. Apply to damp hair for easy-breezy textured waves. This lightweight gel defines curls without leaving them sticky or crunchy. Say hello to intense moisture, curl retention and frizz-control. Go short or go home seemed to be the motto on the streets at fashion month. Short under-the-ear cuts were seen everywhere from New York to London—with textured bobs being the most popular. Spray lightly over dry hair for instant volume and texture. Because no-one wants dry split-ends on a beautiful blunt bob. Create plenty of volume sans the static. Clips! Headbands! Bows! Whether slicked back in a ponytail or loose and wavy, hair was punctuated with charming statement hair accessories all over the streets during fashion month—proof that the trend is going from strength to strength. Pearl clips are one of the most popular styles all over our Instagram feeds right now. Thick headbands continue to charm and delight. The more clips layered into your hair, the better. The low pony's popular little sister—the low bun—also made its mark this fashion month. The quick, easy and effortless hairdo was slicked back from a center part and occasionally tied with scrunchies or fun hair accessories. A nourishing hair mask is the best prep for a smooth, healthy and chic low bun. You don't need bobby pins when you have this finishing spray at your fingertips. Add dimension and interest to your low bun with the addition of a silk scrunchie. Up next, every cool girl I follow on Instagram has this exact haircut.